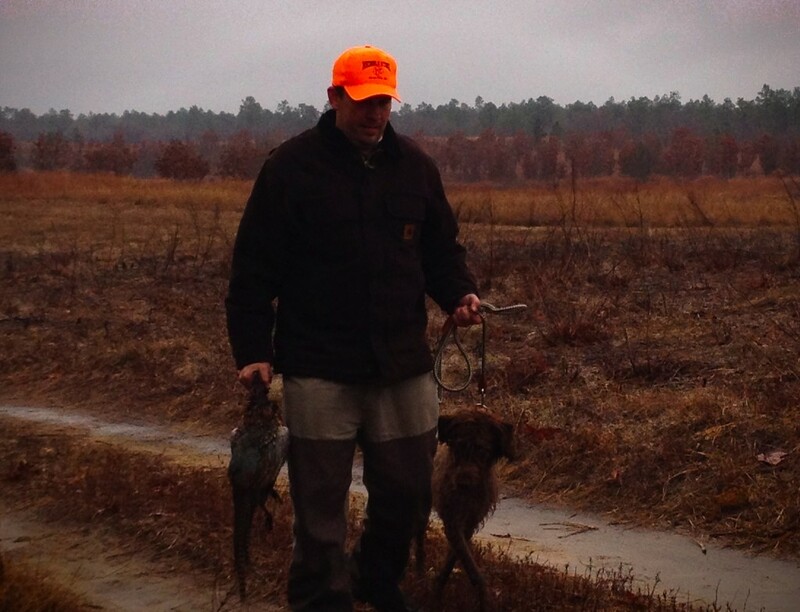 Have you ever thought, “I wish I had a hunting dog that could do it all?” Retrieve to hand, point and flush birds, and sit in a duck blind? 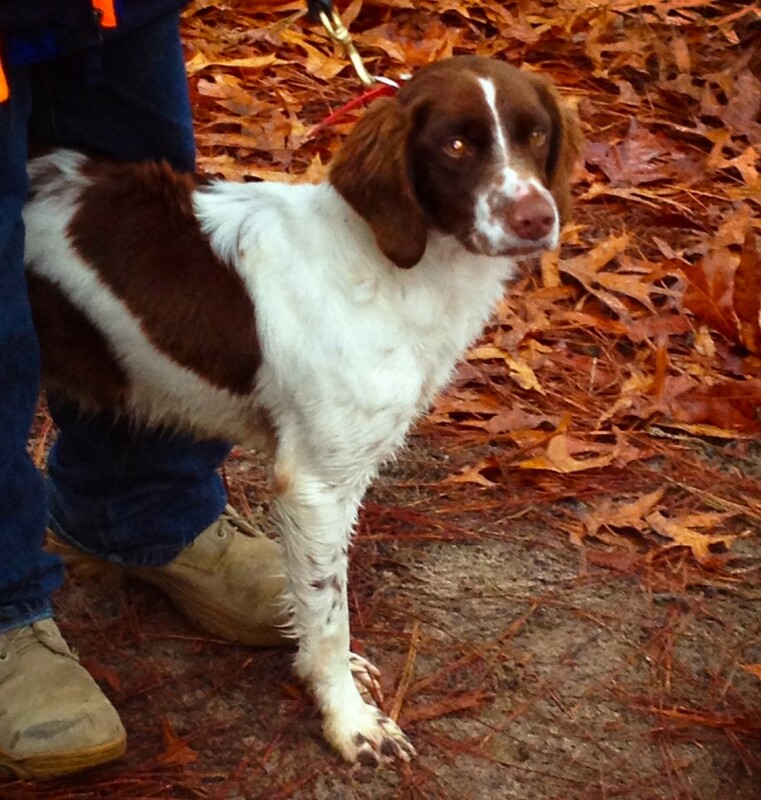 Well, you may just need to consider one of the versatile hunting dog breeds. 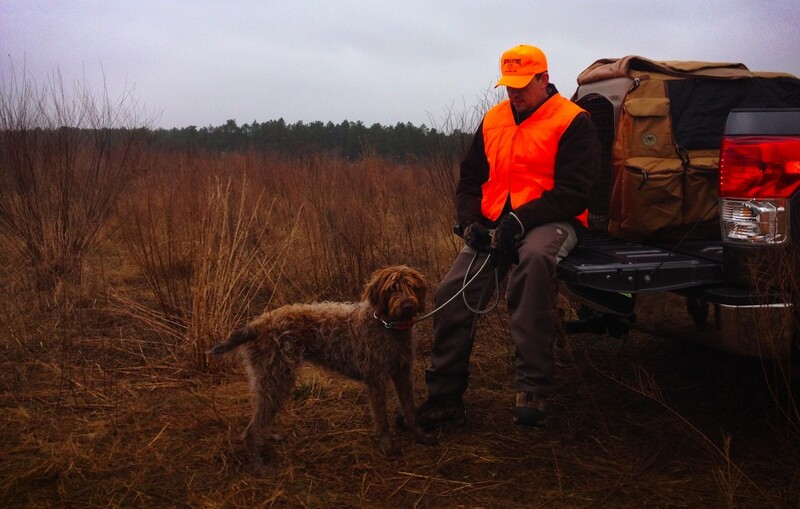 This past weekend I spent the day at a field trial watching a good friend Chad and his dog Kona, a Wirehaired Pointing Griffon, hunt, point birds in the field, track pheasants, and retrieve in the water. We were there with 20 other teams that had hopes of putting their hard work and training to the test. Many different breeds were represented, German Shorthair Pointer, German Wirehaired Pointer, Brittany Spaniels, Griffons, Weimaraner, and more. The Natural Ability Test – This test is designed to evaluate young dogs and their inherent natural abilities. 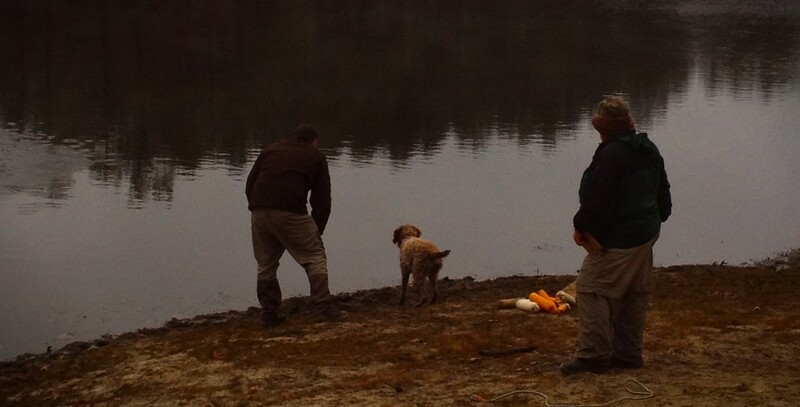 Each dog is evaluated on his or her nose, search, tracking, pointing, water/swimming ability, desire and cooperation. The Utility Preparatory Test – this is done midway through a pups training as they are preparing for the Utility Test. The Utility Test – this will evaluate a trained dogs’ ability as a versatile hunter with simulated hunting situations before and after the shot. The Invitational Test – The highest level of testing, dogs reaching a Prize 1 score in the previous Utility Test are eligible. Dogs that have qualified and have shown a high level training will be tested on advanced skills and concepts. 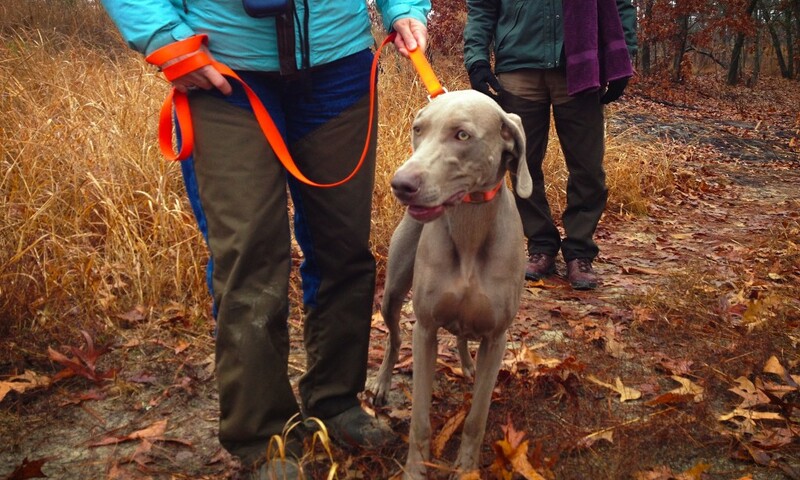 Kona tested as a 10 month old female in the Natural Ability Test, the test was held on state land in the Sandhills Wildlife area in North Carolina, and conducted by the local NAVHDA chapter of the Carolinas. The conditions for the day were tough. Temps had been in the low 30’s with rain on and off all day. The dogs were visibly cold as were most of the two-legged participants! 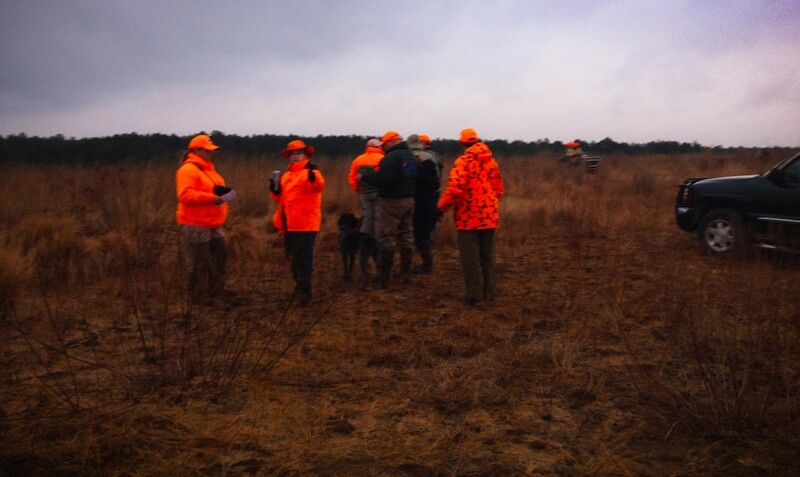 The first skill that would be tested was a 20-minute hunt in the field where a couple of live Chukar had been planted. Her job was to let her natural ability to hunt take over, locate a bird and get to point. After about a 10-minute walk through the field Kona locked in on a Chukar and pointed the bird perfectly. The second portion was a test of the dogs’ ability to track. Prior to Kona and Chad getting to the test area a pheasant had been released by the judges. Once the bird had left the area and was out of site the judges then asked for the dog and handler to step to the line. Kona quickly picked up the scent of the bird and in no time tracked for about 100 yards and located the bird. Two of three tests were done, leaving only the water/swimming portion. The third and final test seemed to be the most difficult for most of these breeds. The concept was to show that the dog had the ability to swim in the water on command. The judge asked that each handler have their dog retrieve at least two bumpers in attempt to see the dog’s swimming ability. Chad and Kona were second and the temps were extremely cold making water undesirable for anyone. After a little reservation Kona made here two swim retrieves and completed the test. Kona passed all three of the tests and scored enough points to earn an overall Prize 3 for the day. My experience with gun dogs had been primarily with labs, chesapeake bay retrievers, and golden retrievers, but it was exciting to be exposed to some of these not so common breeds. I copied a breed list from www.navhda.org below to have as a reference if you are curious in researching a potential versatile breed-hunting dog. I was extremely impressed with the dogs and their athletic abilities, intelligence, ability to hunt, and most showed that they were also very friendly and great family dogs. 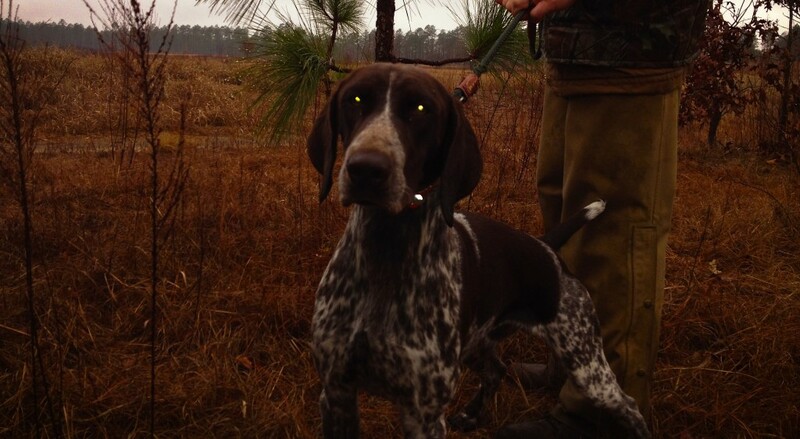 So, if you are considering a hunting dog in the future you should do your research and consider versatile hunter.